Published in 2017 by National Fisherman. Written by Jean Paul Vellotti. Florida's Patti Marine launches the 152-foot Sea Watcher II with ABS approval for offshore clamming. Published in 2016 by Fishermen's News. Written by Peter Marsh. The arrival of Global Seas’ 170-foot trawler F/V Defender in Seattle in May has clearly raised the bar in the Alaska Pollock fleet. The vessel features an advanced fish pump system to protect the catch, a spacious covered fish-handling/sorting area to increase crew safety, and a large RSW capacity to increase efficiency. 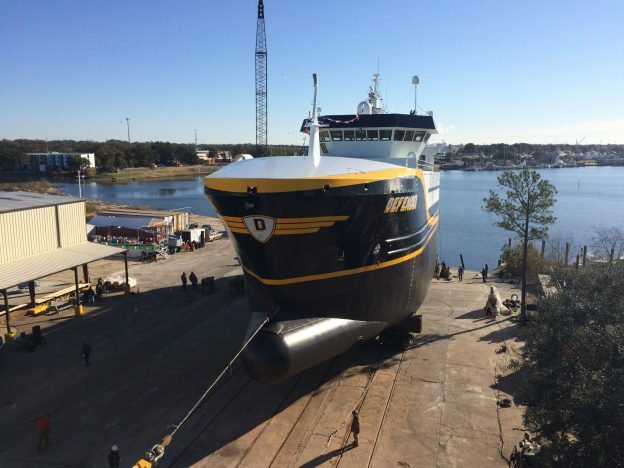 The vessel was converted to its new role at Patti Enterprises’ shipyard in Pensacola, Florida between April 2015 and February 2016. Published in 2016 by National Fisherman. Written by Larry Chowning. 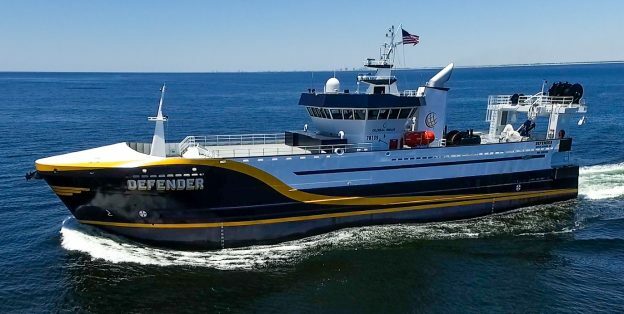 Florida yard converts a converts a second New England mackerel boat into a Bering Sea pollock trawler. Published in 2014 by WorkBoat. Written by David Krapf. 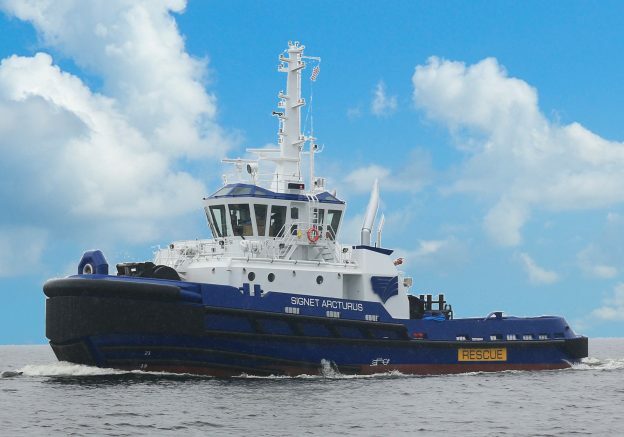 Patti Marine builds two Subchapter I tugs for Signet. Published in 2014 by Pensacola News Journal. Written by Julie B. Connerley. Hybrid has both strength and agility. Published in 2012 by Pacific Fishing Magazine. Written by Daniel Mintz. 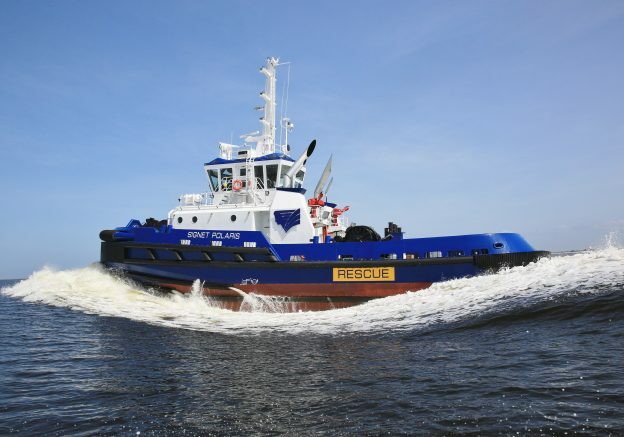 Signet Maritime Corporation announced this week it has awarded a contract for the construction of two Robert Allan Ltd. designed tugs to Patti Marine Enterprises, in Pensacola, FL. Published in 2011 by WorkBoat. Written by Ken Hocke. 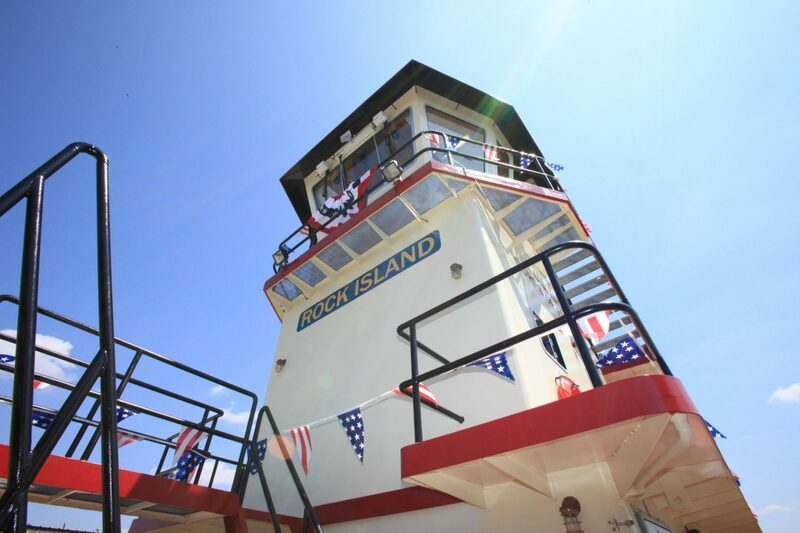 The Corps' Rock Island District gets two new 1,200-hp towboats. Published in 2010 by Marine Log. 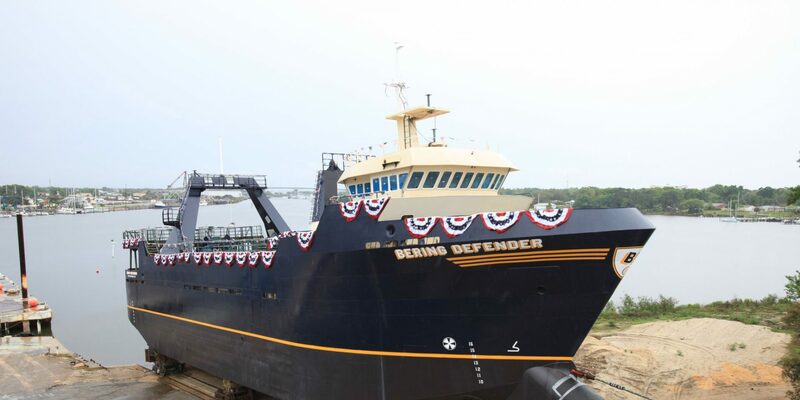 Shipbuilder Patti Marine Enterprises Inc. of Pensacola, FL recently delivered the river push boat M/V Stephenson II, to the U.S. Army Corps of Engineers for use in Gasconade, Mo., in the Corps’ Kansas City district. Published in 2010 by WorkBoat. Written by Bruce Buls. 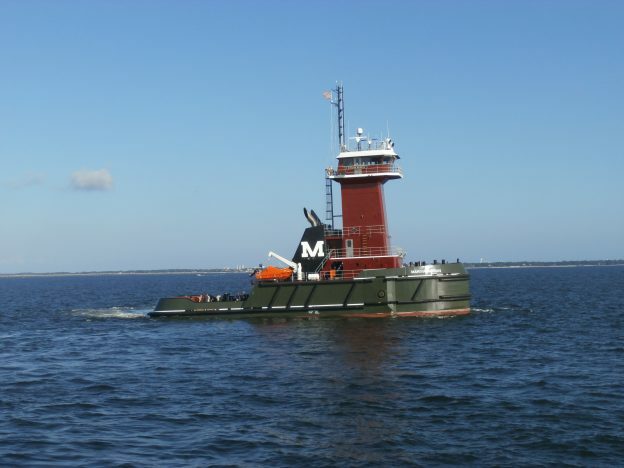 Express Marine Inc. has provided safe, reliable tug-and-barge transportation for dry bulk and liquid cargoes along the coasts of the Atlantic, the Gulf, the Caribbean and associated bays, harbors and rivers for over 100 years. The 170' fishing vessel, Defender is a significant project for Patti Marine, as well as our second vessel with Global Seas. What was once the Western Venture, now the Defender; is the largest haul out in our history and the first on our new rail system. 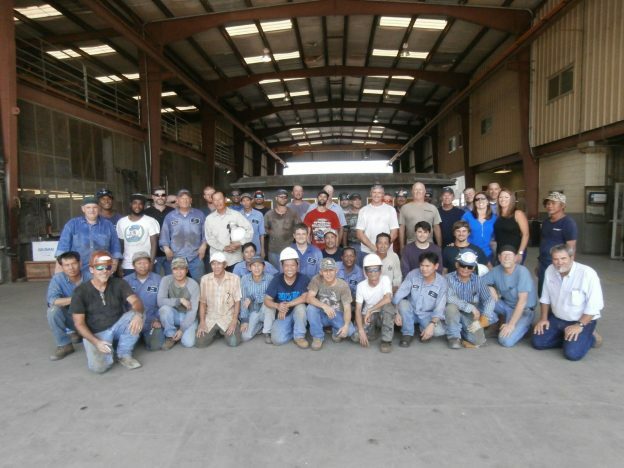 Patti Marine Enterprises is a very unique family owned company that knows the importance of its most valuable assets, the Employees! 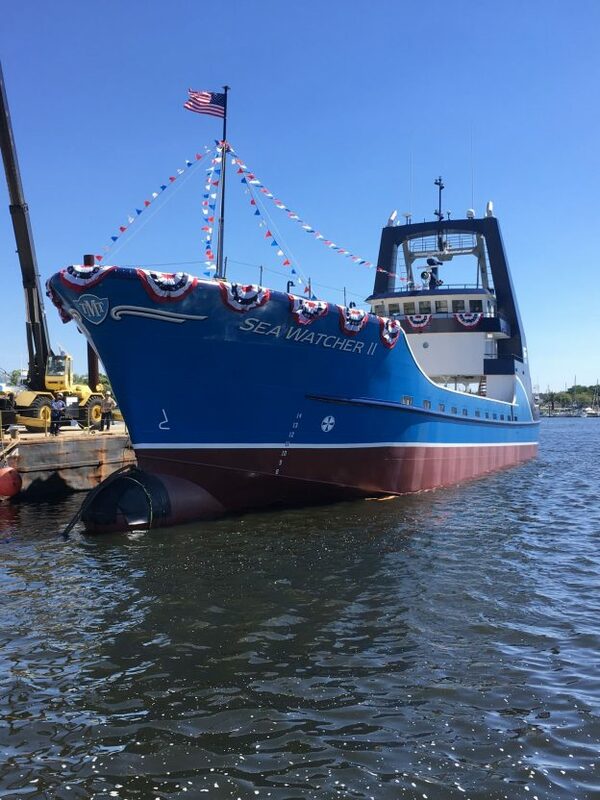 F/V “Seawatcher II” & F/V "Defender"
PATTI Marine Enterprises, historically a new construction facility, was honored and excited to work with the Global Sea's crew again on their latest conversion project of the Western Venture. 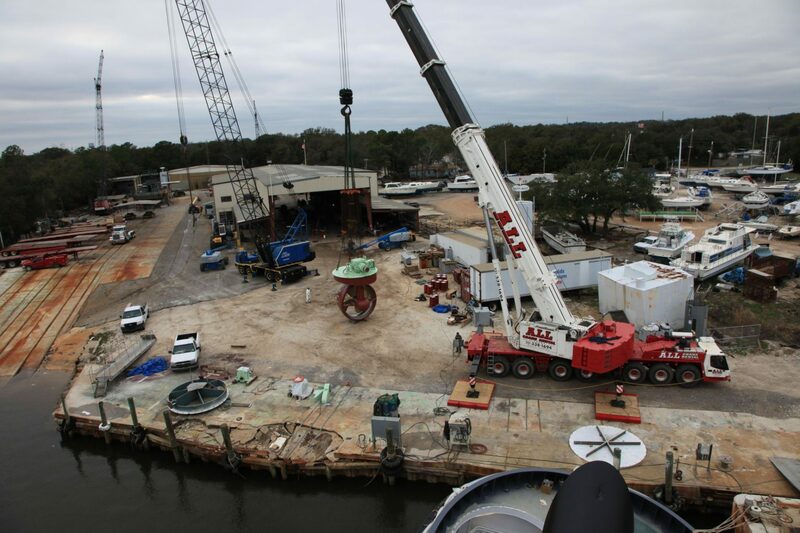 Patti Marine has experienced another busy year of work for 2015. The year began with the completion of our new marine railway launch system. After many months of dredging, hard hat diving, rail fabrication and hundreds of yards of concrete, the completion culminated with the launch of the Mariya Moran on January 29th. Patti Marine Enterprises is privileged to be chosen as a recipient of the 2014 WorkBoat Significant Vessel Awards for the Signet Arcturus and Signet Polaris. 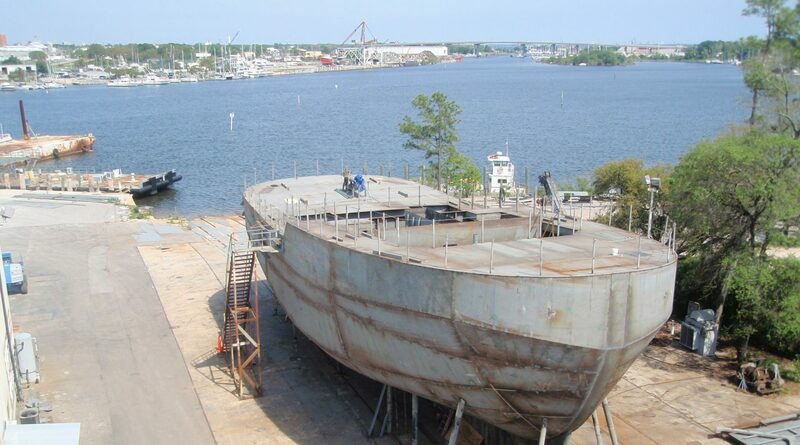 Patti Marine has experienced another busy year for the 2014 work schedule. 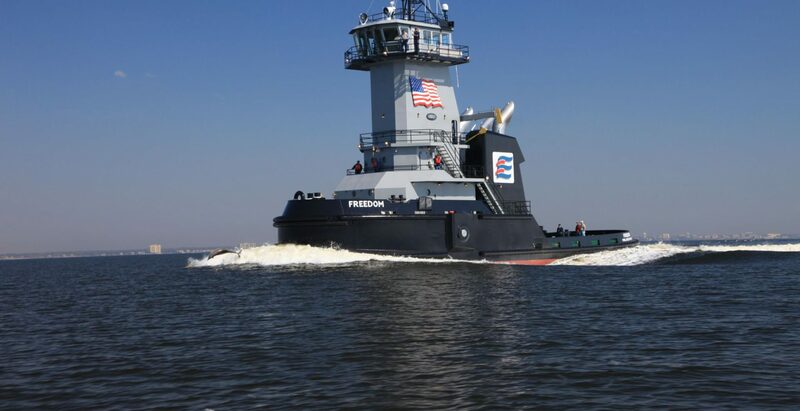 Patti Marine has officially delivered the second Signet "Z" drive tug on June 30th of this week. Patti Marine maintains its aggressive schedule on Signet Maritime's 6,000 horse "Z" drive tugs, despite the wettest two months on record. 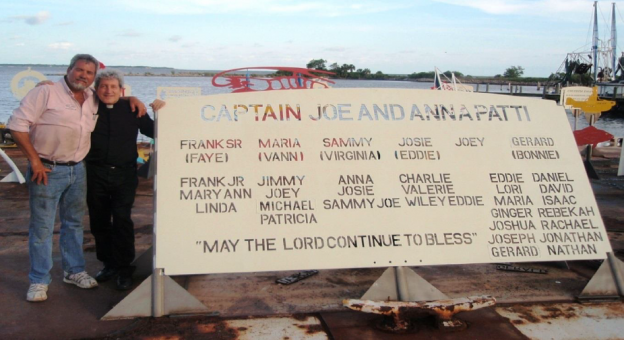 A 175' Patti work barge becomes a memorial reef to honor the Patti Family. It has been another busy year for Patti Marine, from landmark rebuilds, to government construction and big new projects for the private sector. 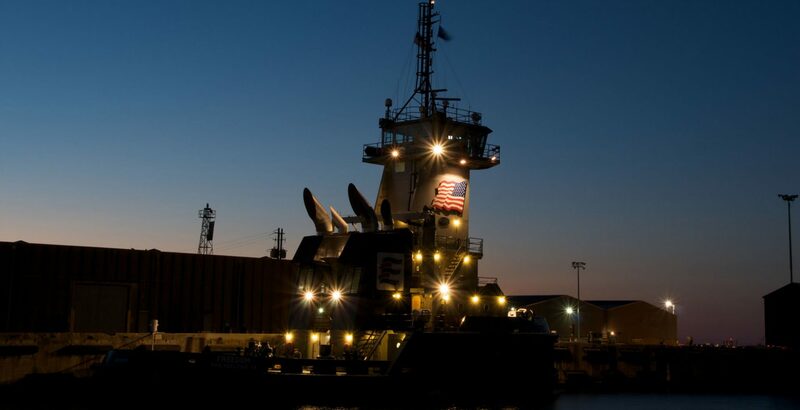 Patti Marine Enterprises is the location where the legendary "Patti Built" crews have built many landmark vessels since 1977. This Patti Press celebrates the launch of the “ROCK ISLAND” and the achievements of the Patti organizations.